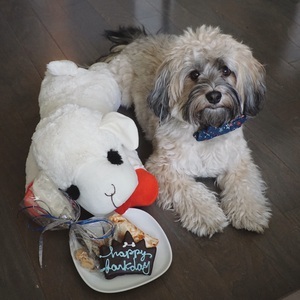 Mugi turned two this weekend and his mom sent me this pic. Pomeranian in Cantonese is squirrel dog. 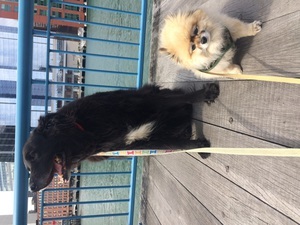 Bear and Jack, the perfect walking buddies want to tell you friendship has no boundaries!